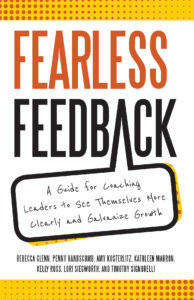 For more information, go to the Fearless Feedback book website, which includes free template downloads. The book can be purchased on Amazon. ©2013 Amy Kosterlitz. Nature Photos by Wendy Feltham. Portrait by Rosanne Olson.